New Delhi, October 30, 2017: In line with its commitment to help learners make measurable progress through learning, Pearson India today hosted a conclave for eminent educationists and heads of institutes in Delhi. 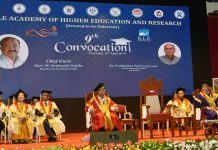 The event witnessed participation from Principals, HODs and key decision makers of schools who discussed the changing paradigms in school education and how they are adapting to the changes. Renowned quizmaster and author, Mr. Derek O’Brien graced the occasion as the Chief Guest and was joined by Ramananda S, Vice President – K12 Sales from Pearson India. 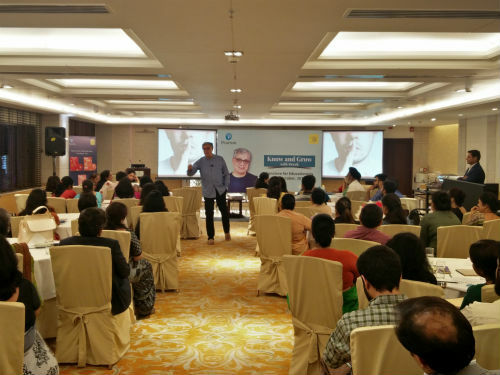 On the sidelines of the event, Chief Guest Derek O’Brien showcased his book series ‘Know and Grow with Derek’. The series, targeted at students in Classes 1 to 8, is aimed at addressing and enhancing four vital traits of student life: personality development, life skills, general awareness and creativity and thinking skills. The book is a scientifically designed interactive program, which uses innovative mathematical tools to successfully help students in developing their personality and creativity.